Jordan Winery: Jordan Chardonnay unoaked he Jordan Chardonnay unoaked is inspired by the styles of Chablis, where Chardonnay is allowed to express its inherent character. A unique unoaked offering that is defined partly by extended lees contact that develops mouthfeel and nuance in the wine. Aromas of freshly grated lemon zest and citrus orchard that finishes with flavours of apricot puree and lime sorbet. 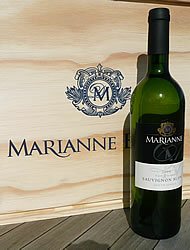 https://www.weinbaule.de/white-wine-south-africa-jordan-chardonnay-unoaked-p-2895.html?osCsid=a9901798686ee02c233b6b784c27e7a0"> Wine 9.79 WeinBaule.de | The Home of Wine Jordan Winery New In stock!